A few years ago I realized that the phrase “business model” was being used more and more in nonprofit settings. Intrigued, I did a little research and found several definitions for the private sector but none specifically for nonprofits. The language that seemed to fit across sectors focused on the logic of an organization. It’s helpful to recall that the term model refers to a design, pattern, or description. Ah ha! A nonprofit business model is a description of how an organization operates. How simple is that? Haven’t we been describing our models all along? Nope. Not really. Publications, such as the Nonprofit Quarterly, and consultants like yours truly have brought the concept to the forefront. Why? Sustainable nonprofit organizations in today’s world are designed upon a fundamental premise – a business model that works. What philosophy guides our programming? Does our funding model support annual operations and long-term growth? How can we consciously design our funding to fit our programs and engage the community with our mission? As a framework for nonprofits, Corona Insights’ offers the Synergistic Business Model, which has three basic components – programs, financial resources and community engagement. After all, what is the nonprofit sector if it isn’t serving community? Sounds pretty logical to me. 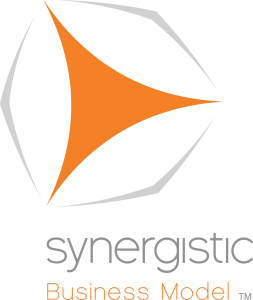 To learn more about the Synergistic Business Model, click here.